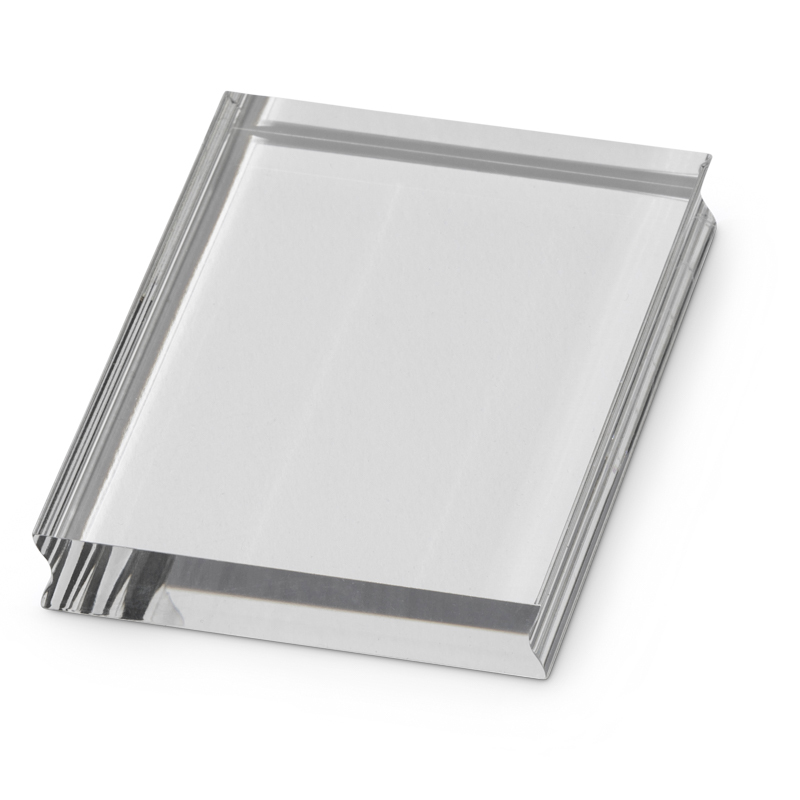 The larger rectangular shaped clear block (7.5 x 10 cm / 2.95 x 3.93 inch) accepts any of our Clear Stamp designs. The fluted long edges make it easy to grip whilst working. Exact printing of designs can be achieved because you can see precisely where they will be positioned.